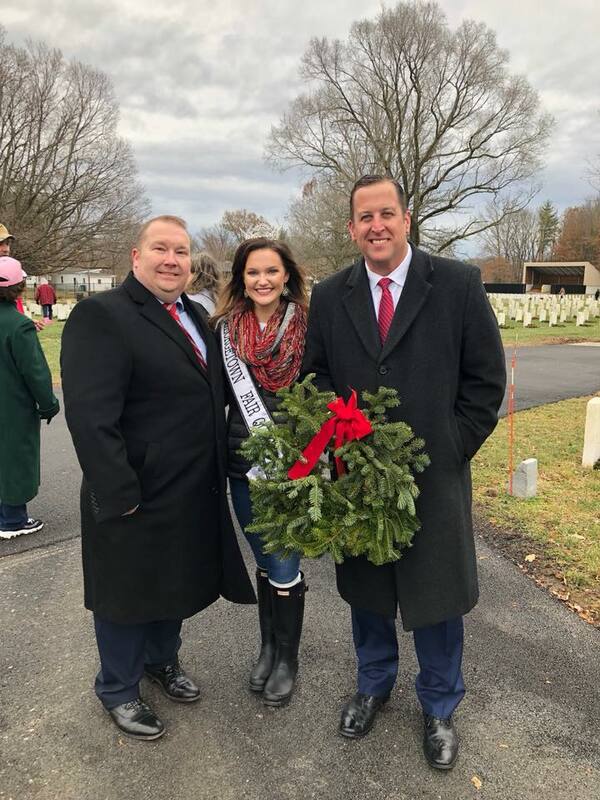 DANVILLE, VA — State Senator Michael E. Hastings (D-Tinley Park) gave the keynote speech at the Wreaths Across America ceremony at the Danville National Cemetery last week. friends in combat and emphasized the value of keeping their memories alive in his speech at the 12th annual event. State Senator Michael E. Hastings (D-Tinley Park) gave the keynote speech at the Wreaths Across America ceremony at the Danville National Cemetery last week. (Left to Right: State Senator Scott Bennett (D-Champaign), 2018 Georgetown Fair Queen Billi Jo Shank and Hastings). Danville National Cemetery has almost 11,000 grave sites. The cemetery serves veterans within a radius of 75 miles. “I sincerely appreciate being part of this heartwarming event. It was great to see the City of Danville and Vermilion County come together to honor our brave comrades during this holiday season,” Hastings said. Wreaths were laid in honor of the US military branches and groups: Army, Navy, Marines, Air Force, Coast Guard, Merchant Marines and POW/MIA. Family members also placed wreaths in honor of fallen service men and women. Wreaths Across America is a 501(c)(3) nonprofit organization founded to expand the annual wreath-laying ceremony at Arlington National Cemetery begun by Maine businessman Morrill Worcester in 1992. The organization’s mission is to “Remember, Honor, Teach.” Every year the organization emphasizes their mission by coordinating wreath-laying ceremonies at more than 1,200 veterans’ cemeteries and other locations across the nation each December.